These red and cream wicker sidechairs from Bolero feature a lightweight construction, and are perfectly designed for outdoor use, in pavement settings, beer gardens and patios. The high resistance to weather makes these chairs ideal for bistros, cafes and restaurants whether for use indoors or outside. 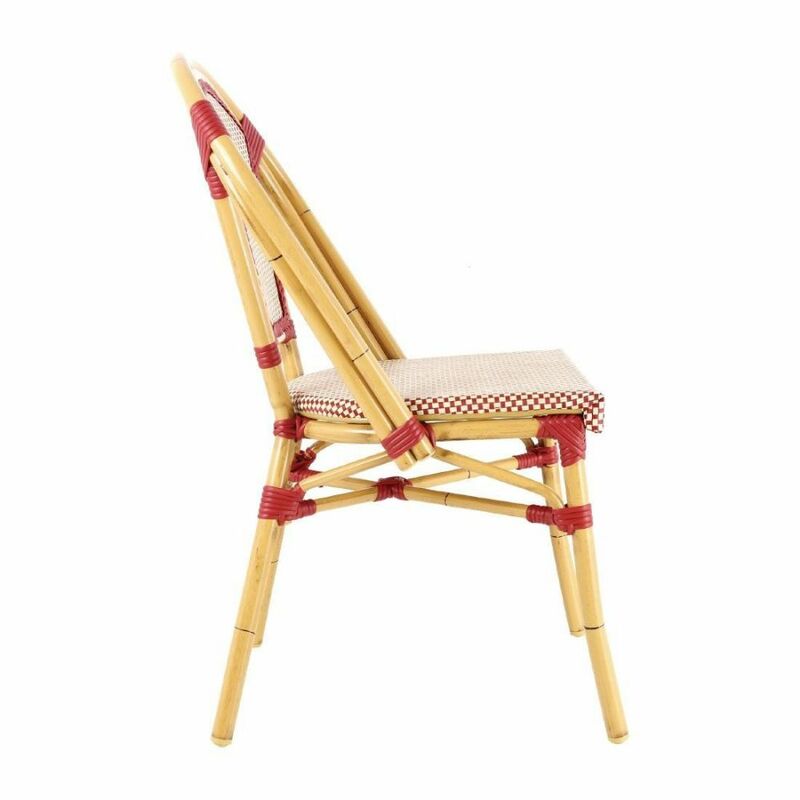 The wicker chairs feature a striking red and cream colour scheme and are also easy to maintain. The textilene seat and backrest sre highly resistant to UV rays and abrasions, giving the chairs a long life even when placed outdoors.